…with 0.25mL of 3.8% trisodium citrate diluent. 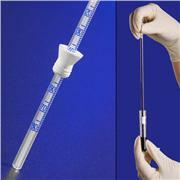 Simply add 1mL of EDTA-treated blood to complete the 1 to 4 ratio as required by the Westergren method. The use of Sedi-Rate™ eliminates splashing, spraying and aerosol hazards, making it an optimum choice for ESR testing in the laboratory. 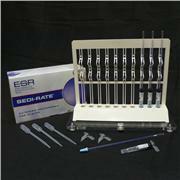 An ELISA kit for the detection of Esr1 (Rat). 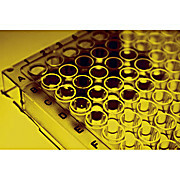 This uses Sandwich ELISA, Double Antibody and has a sensitivity of 0.188ng/ml. 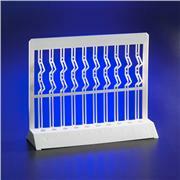 An ELISA kit for the detection of Esr2 (Rat). 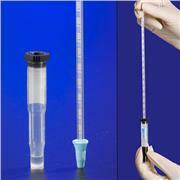 This uses Sandwich ELISA, Double Antibody and has a sensitivity of 0.094ng/ml. The ESR2 antibody from Proteintech is a mouse monoclonal antibody to a fusion protein of human ESR2. This antibody recognizes human,mouse antigen. The ESR2 antibody has been validated for the following applications: ELISA, WB analysis. The ESR2 Beta-3 antibody from Proteintech is a rabbit polyclonal antibody to a peptide of human ESR2 Beta-3. This antibody recognizes human antigen. The ESR2 Beta-3 antibody has been validated for the following applications: ELISA, IHC analysis. The ESR2 Beta-6 antibody from Proteintech is a rabbit polyclonal antibody to a peptide of human ESR2 Beta-6. This antibody recognizes human, mouse antigen. 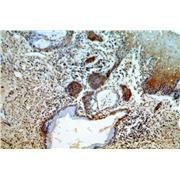 The ESR2 Beta-6 antibody has been validated for the following applications: ELISA, WB, IHC analysis.